Nose: Exquisite palette of aromas: cinnamon, cloves, vanilla, gingerbread. Palate: Rich in stewed fruit, dried apricots, honey, well balanced persistent finish. For anyone who's not yet tasted how good a Pineau des Charentes can be, then check out the delight that is the Château de Beaulon Pineau Collection Privée 1982 Or 20 Years Old. This white pineau is from the harvest of 1982, and spent 20 long years aging within Troncais oak barrels to become the delight that it is today. 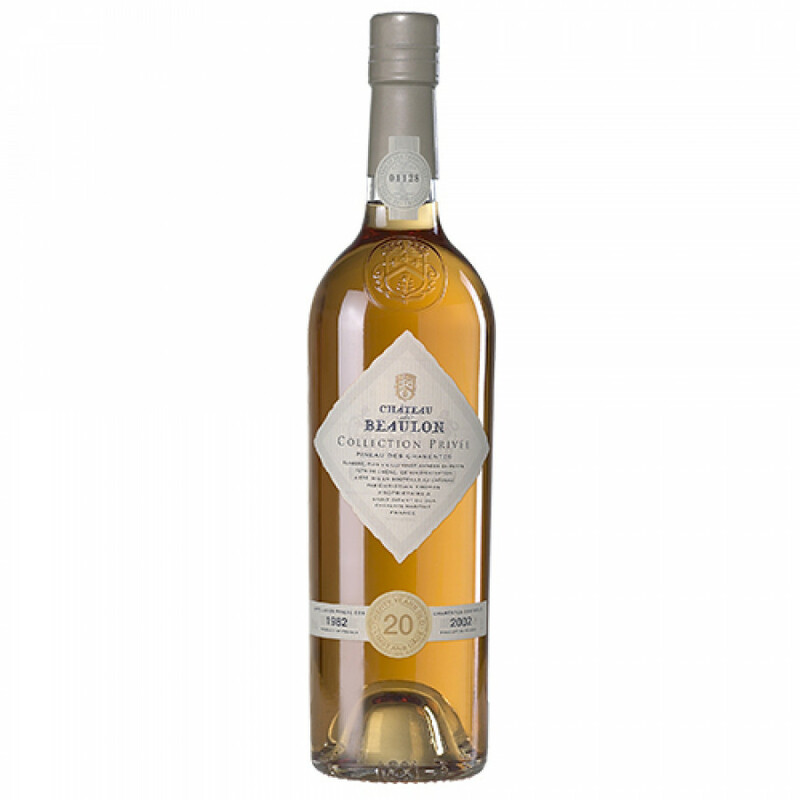 Understandably, it's available in only a very limited quantity, and this unique pineau has been received much acclaim and awards. The perfect sundowner, it can also be enjoyed after dinner as a digestif. The house of Chateau de beaulon suggest you enjoy it chilled. It's also a great accompaniment to exotic fruit desserts, or those with citrus fruits.